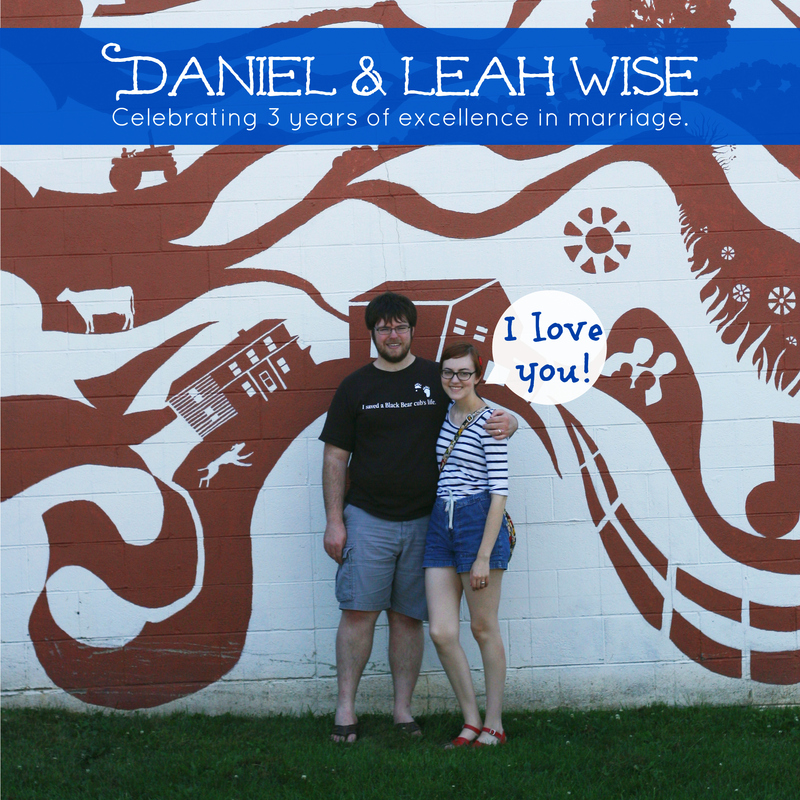 Today is Daniel’s and my 3 year wedding anniversary. I know our marriage is still young, but 3 years passed quickly. I’m glad our relationship has been (mostly) healthy and that we’ve weathered the storms of graduating, new jobs, grad school, spiritual/quarter life crisis, lost friendships, and moving to another state together. We forgot to plan anything special, but I’m sure we’ll find a way to celebrate in the next few weeks. Below is the wedding video our photographer surprised us with a few weeks after the wedding. I post it every anniversary because I love it. I’m saddened to have already witnessed so many young marriages disintegrate. I know there are a number of reasons (most quite legitimate) why marriages don’t work out, but I feel really lucky that Daniel and I are still just as compatible as ever. I think a lot of people get mushy gushy on the internet and gloss over the day-to-day nature of marriage. They pretend that everything is perfect and sunshiney and beautiful when it’s really just daily living with someone you chose to commit yourself to. Daniel’s and my marriage is strong, but it isn’t perfect and never will be; that’s part of being human. He’s going to roll his eyes that I wrote this post and I’m going to act sulky and complain that he doesn’t find commemorating our anniversaries as important as I do. That’s part of the ebb and flow of our relationship – it’s part of the daily act – and it’s pretty entertaining.